There is nothing more important in life than the quality of our relationships. 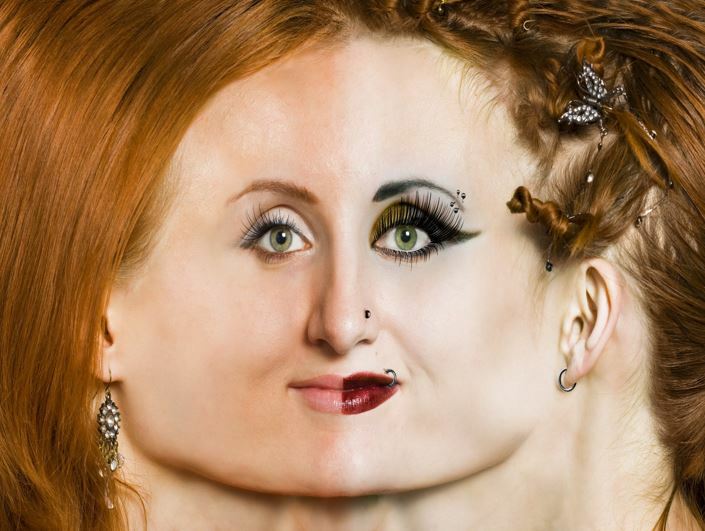 Have you ever been told – or do you ever feel like – you are two-faced? How does that make you feel? Peaceful? …. not. Out of control? …more like it. If there were a way to be empowered to be really effective with all those people who you’ve struggled with for far too long, would you be willing to learn what would help? Do you ever feel that when things are calm and easy going you are definitely responding to life one way, but when things become intense there’s another “you” that jumps in and takes over in a completely different way? 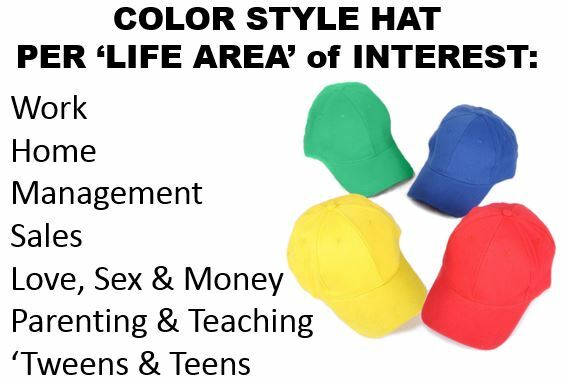 In presenting my Connecting with Colors® Personality Styles DESCRIPTIONS to over 20,000 people in a two year period, I quickly discovered that the largest percentage of my audiences were experiencing havoc with their internal dialogue when it came to their Secondary Color. 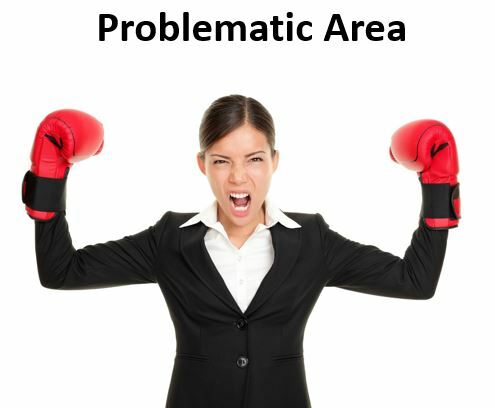 The first thing I discovered is that the problems in how we communicate do not originate with “weaknesses” but that it is our strengths that are problematic for us. 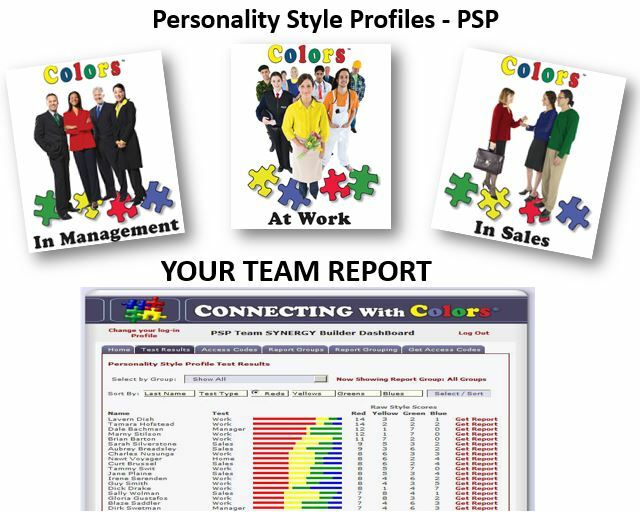 We are SIMPLY “coming on” too strong from our Predominant Color Style – we’re coming AT people and AT communication problems from the strength of our personalities. 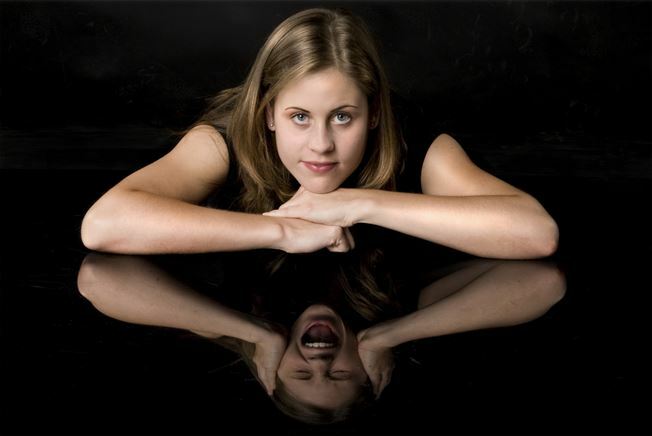 It’s like yelling at a person who speaks Italian – no matter how much you yell – they will not understand because neurologically speaking you are NOT finding their CONNECTING point and yes, I provide the solution for this – which I will tell you about in just a moment. The 3rd thing I discovered was that the Color Style people went to Work with in the mornings is not necessarily the same Color Style people go Home with at the end of the day! 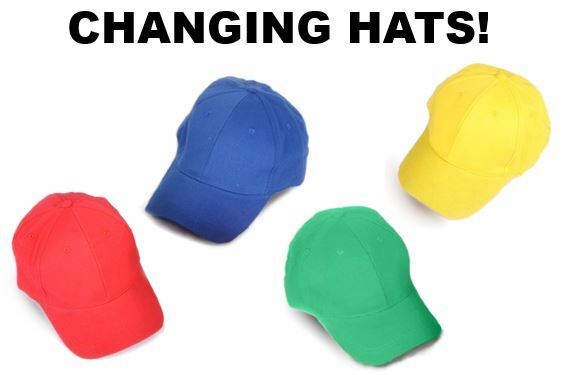 For example: A woman might put her RED Color Style Hat on the second she arrives at work, but then on the way home, changes into a Blue Color Style hat. Later that evening when the kids need to be getting their homework done she slips into her Green Hat when she’s in parenting mode. Suddenly she sees her child is being bullied, and you will see her put Red Hat back on to handle the situation right here, right now. On Friday night, TGIF! The kids are at the sitters and she’s feeling like she wants go someplace fun with her husband, she immediately changes hats to YELLOW because she is ready to PARTY! One of the complaints I hear from women very often, is that their Director Red husbands, come home from work, grab a drink and snacks, turn on ESPN and put on their Yellow Hat with no mindfulness about household chores! 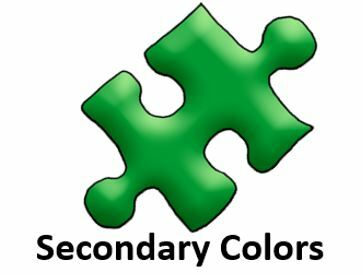 The FIRST thing I did was build the secondary colors into my programs…. 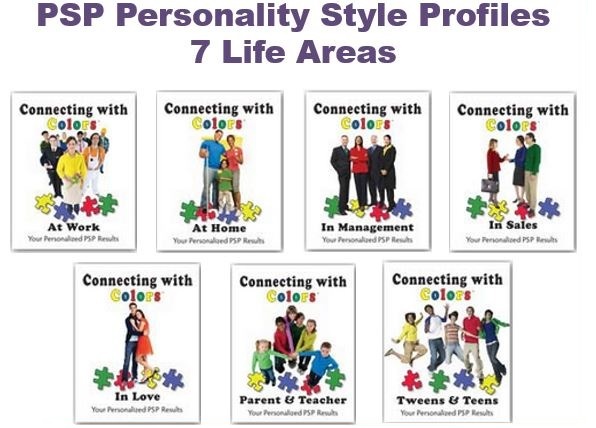 The SECOND thing I did was develop comprehensive Personality Style Profiles—PSPs— in each of the 7 LIFE AREAS so people could start understanding how they are being SEEN by others. This perspective alone starts transforming what’s going on in our relationships. 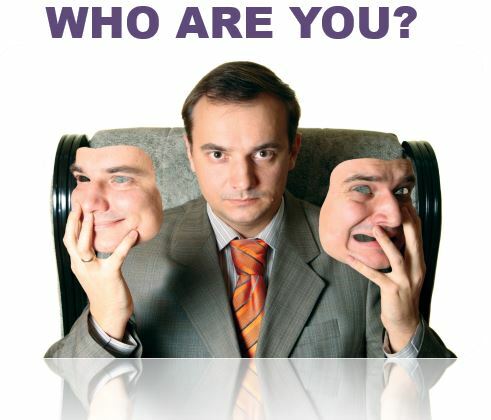 The THIRD thing I built into my Personality Style Profiles – PSPs – was the solution and the technique to CONNECTING synergistically in every relationship in our lives. 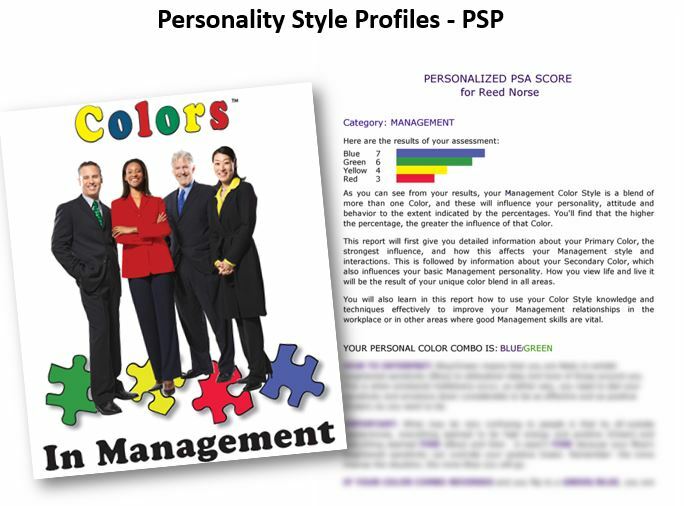 Each PSP offers the specific Dialing-In technique that transforms intense conversations with each and every Color Style that you will need to do to get more of what you want and less of what you don’t want in every situation you find yourself in. It is the simple way to being effective with the complicated situations you’ve been dealing with for so long. 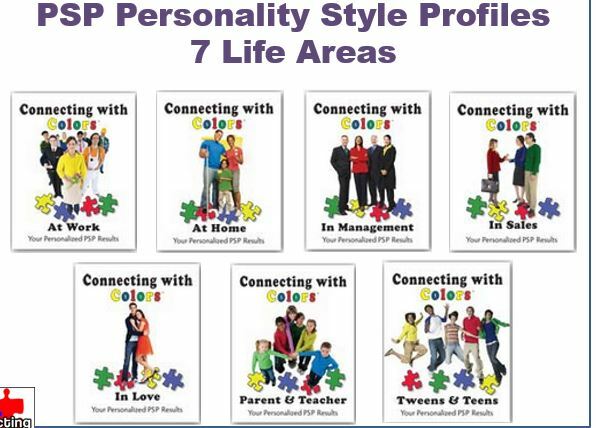 EACH Life Area Personality Style Profile shows what your scores are in each COLOR Style to show you what your COLOR COMBO in each of the 7 Life Areas so you can now actually SEE what’s going on between your primary and secondary colors and where you are losing credibility with people– instead of beating yourself up – making yourself wrong – feeling bad about what other people are saying about you. NOW you can DIAL UP the COLOR you need to be taken seriously! Do you need MORE RED? More Blue… to communicate more effectively? I also developed AUTOMATED TEAM REPORTS so you can SEE what’s really going on in any group of colleagues, friends and/or family. 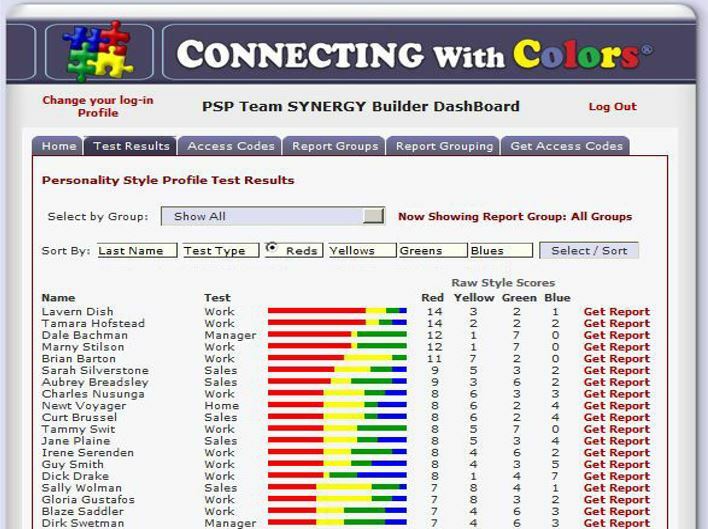 As you issue the PSPs to your group – as they take the test – their results will automatically come into your PSP Team Synergy Builder DASHBOARD so you can start seeing what’s going on and start seeing where you are going to need to DIAL IN the Color Styles other than your own to be an effective CONNECTOR! 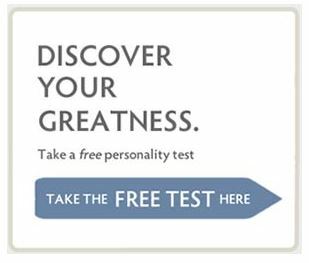 And here’s the greatest Success of all – NOW when people FEEL like they have to be a picture of calm on the outside but they are actually screaming on the inside… they can now understand that could simply be a COLOR COMBO ISSUE. To get to the heart of the relationship issues you face I invite you to take back control of your life and take a little time to learn how you can bring the relief you seek into your life today. It can be the simple solution to the complicated situations you’ve been dealing with for so long.